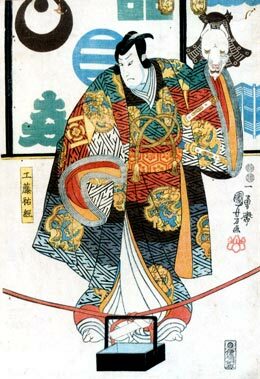 The actor Sawamura Chôjûrô I held the name of Sawamura Sôjûrô in the 11th lunar month of 1716 in Ôsaka during his performance in the kaomise drama "Kogane no Ichigura". 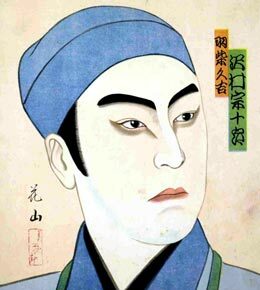 The actor Suketakaya Takasuke I held the name of Sawamura Sôjûrô I from the 11th lunar month of 1718 to the 6th lunar month of 1746, then from the 11th lunar month of 1746 to the 10th lunar month of 1747. Born in Kyôto. 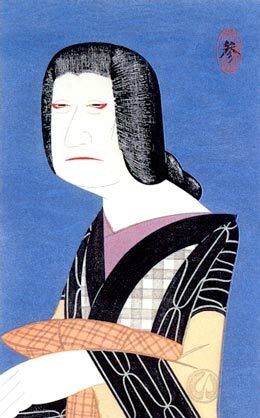 He started his career in Kamigata at the beginning of the 1730s, performing under the name of Somekawa Ichijûrô. 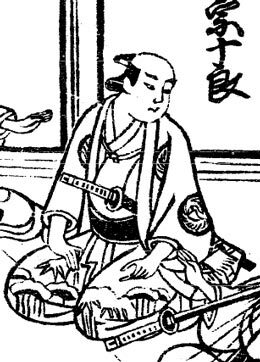 He settled in Edo in spring 1741 and became a disciple of Sawamura Sôjûrô I, who gave him the name of Sawamura Harugorô I. 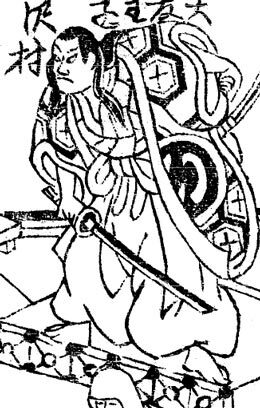 In the 7th lunar month of 1746, his master took the name of Sawamura Chôjûrô III and let him take the name of Sawamura Sôjûrô. 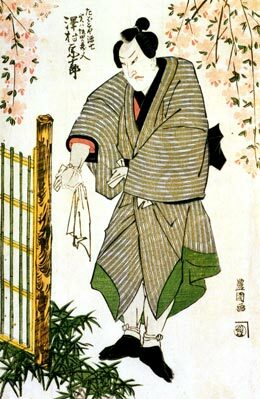 He took the name of Sawamura Sôjûrô in the 11th lunar month of 1747, playing at the Moritaza the role of Akita Jônosuke in the kaomise drama "Aruji Môke Onna Hachinoki", which celebrated the shûmei of Sawamura Sôjûrô. He fell ill afterwards and died the 25th of the 11th lunar month of 1748. He was never acknowledged as an official member of the line. The actor Sawamura Sôjûrô II held this name from the 11th lunar month of 1749 to the 8th lunar month of 1770. The actor Sawamura Sôjûrô III held this name from the 11th lunar month of 1771 to the 3rd lunar month of 1801. 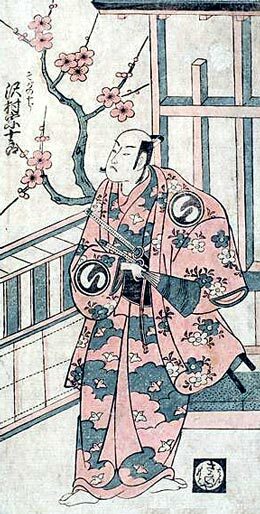 The actor Sawamura Sôjûrô IV held this name from the 11th lunar month of 1811 to the 12th lunar month of 1812. 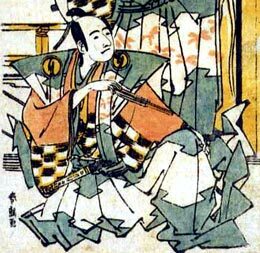 The actor Suketakaya Takasuke III held the name of Sawamura Sôjûrô V from the 7th lunar month of 1844 to the 10th lunar month of 1848. The actor Suketakaya Takasuke IV posthumously received the name of Sawamura Sôjûrô VI. The actor Sawamura Sôjûrô VII held this name from September 1908 to March 1949. The actor Sawamura Sôjûrô VIII held this name from September 1953 to December 1975. The actor Sawamura Sôjûrô IX held this name from September 1976 to January 2001.